During Doors Open Toronto in 2011, Sue and I visited the school as it was listed as "possibly haunted" in the city's guide to the sites open to the public. 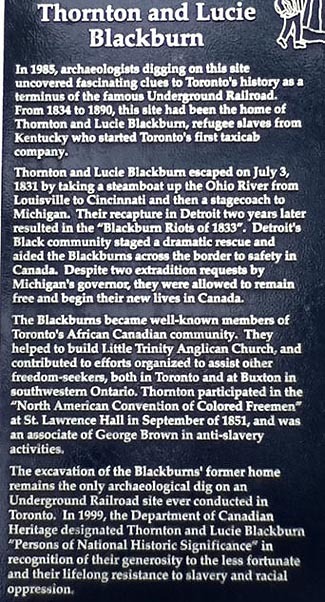 Located in the historic Corktown area in Toronto, the school was built on (near) the site of the home of Thornton and Lucie Blackburn, two people who escaped slavery in the American South and set up Toronto's first "livery" (taxi) service in 1837. The site still bears plaques and remembrances to The Freedom Railroad, the abolitionist movement, as well as Thorton and Lucie's contributions to history. Prior to this, in the very early 1800's, the site was nearby the original Upper Canadian Parliament buildings and had a military blockhouse nearby... and prior to that, it was a favoured area nearby to the Don River, for native encampments. While Sue and I were at the site, we were fortunate enough to speak to a teacher who filled us in on the history of their potential inhabiting spirit... which seemingly dates from the early 1800's and into the late 1960's. 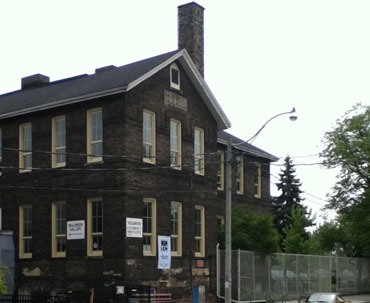 The school was originally a general public school, built in 1887 and boasting the first female school principal in Toronto, Georgina Stanley Riches, (who served in that capacity until 1912,) "Sackville School" (as it was named) was in service to the community until 1974 when the area's changing population (residential being moved away and industrial/commercial tenants being moved in,) could not support it "as was". 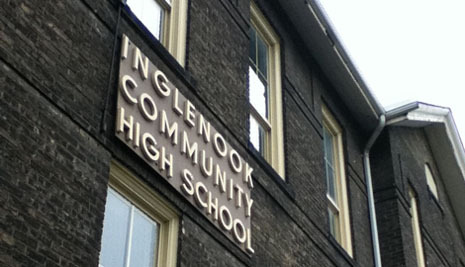 The site then became home to an aboriginal learning centre combined with Inglenook Community High School, one of Toronto's first "alternative" high schools. The spirit was that it was a young native girl who was sexually abused by soldiers from the once nearby blockhouse. The young woman, so distraught, took her own life near the present day school. Throughout the late 1970's and early 1980's, clearings, drumming rituals, and smudgings were done to ease this spirit into the next realm, and according to a shaman in the 1980's, these had the desired effect and she had gone on to the next world. 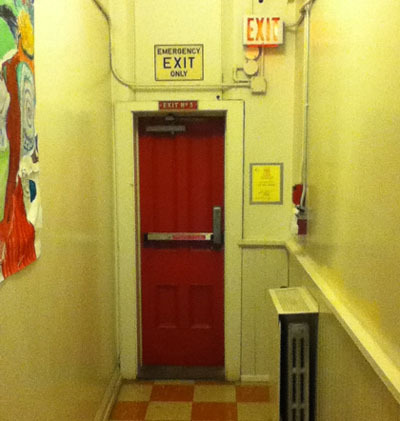 The teacher we spoke to had been at the school during this time and told us of one time seeing a woman "dressed in white" appear out of one wall, cross a wee bit of the room they were in, turn, and then disappear in what could be described as a scattering of her particles into the same wall from which she had come from. We had the advantage of being with two young men (students helping during the event,) who seemed a little tickled by the story and looked a little bewildered... which tells me that these reports are not "thrice told tales" by students on dark and stormy nights... well, now that the story is here and was printed on one of their hand-outs, maybe the spirit will be invoked... not likely to "haunt" again, as she's moved on, but to haunt Halloween and other moments when the mood hits. Good folklore should be like this. PLEASE NOTE: We do our best in terms of researching history and information, but occasionally make mistakes or work from less than accurate information. If you spot an error, again, please e-mail us at the above address and let us know.